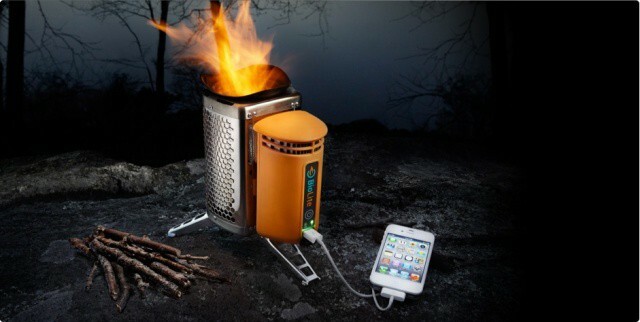 Simply cram all the rubbish you can find into this terrific device and set fire to it, and BioLite will cleverly turn the heat produced into energy to charge your iOS device — or anything else that charges via USB for that matter. According to Gizmodo, you’ll get roughly the same amount of power you get from a laptop’s USB port. The BioLite will add around 2 pounds of weight to your backpack, but it means you can leave all of those extra batteries, battery cases, and solar chargers at home. In addition to this, BioLite can also be used as a camp stove, so you can also use it to cook food and boil water while it charges your devices. That means you can leave your old camp stove at home, too. Just make sure you don’t spill hot soup all over your iPad. The BioLite will begin shipping in mid-July — so any day now — and is priced at $129.